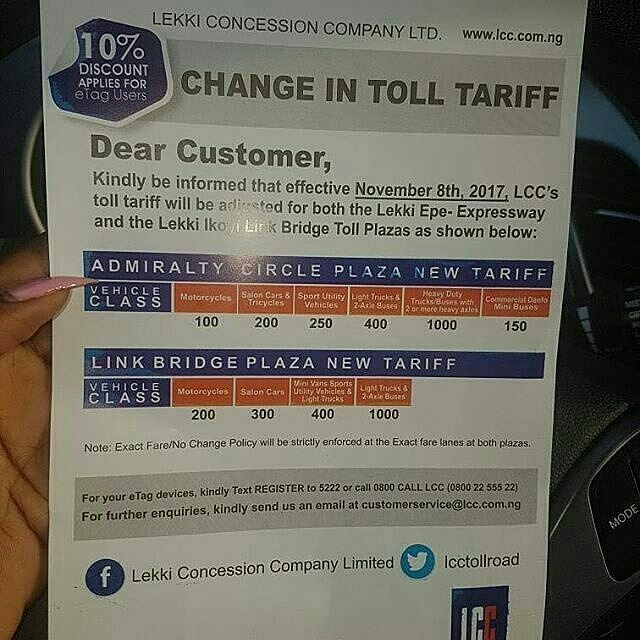 It was earlier reported yesterday that the Lekki Concession Company plans to hike its fees as from next week and this has generated a lot of outburst from the public. The Lagos State has swung into action by halting the plans as it released this press release.. The attention of Lagos State Government has been drawn to the announcement of a proposed tariff hike on Lekki-Epe Expressway and Lekki-Ikoyi link bridge by the Lekki Concession Company (LCC). The Lagos State government hereby informs the general public that the said tariff hike has now been put on hold as the necessary consultations with stakeholders are yet to be concluded. While government recognises the need for periodic review of tariffs and any other levies appertaining to road infrastructure maintenance in the state, the public and critical stakeholders as the ultimate beneficiaries of such facilities must always be carried along at all times. Therefore, the proposed tarrif hike cannot be effected at this period in the interest of the public, while further consultations continue.